We can all see different things wrong with our side and tactics at the moment. But, we’ve decided to highlight some major concerns we’ve noticed in our 1-1 draw on Saturday. Whilst the pictures themselves are not of the best quality, they are clear enough to highlight what exactly went wrong on Saturday afternoon. I’ll talk you through each action shot and highlight the issue on show. In the photo above I have highlighted Ashley Williams (Orange circle). In our player ratings article we mentioned how Williams left both Holgate and Jordan Pickford high and dry by being caught way out of position for West Brom’s goal. You can see that both of our central defensive midfielders are in better positions and even when I rolled this clip back a little there was no real reason for Williams to be that far up the pitch. I have also pointed out Morgan Schniederlin’s lack of intent to block the ball. Off too the left of picture JonJoe Kenny has their winger covered, so there really is no excuse for Schneiderlin not to commit himself to blocking the ball. A great ball over the top eventually lead to a good piece of control and finish in behind Everton’s defence. Cuco Martina’s awareness in general is questionable, but here you can see exactly why fans say our stand-in left back looks ‘lost’ and ‘uncoordinated’. Whilst Martina’s vision is firmly on the man/ball, he didn’t once check to see if the man behind him was covered (which he was). By not looking around himself, even for a split second, it’s meant he has got caught up in 2 minds and in the end his position or decision/lack of decision not to commit to blocking or pressing the ball has had no benefit for his teammates. If Martina commits to blocking the ball and moves forward to the man in possession, Mason Holgate would have the man behind Martina covered. Thankfully this particular attack didn’t amount to anything but it has done in previous games. From the same attack you can see below a lack of communication between Everton’s players was evident. Mason Holgate has allowed himself to be drag wide leaving a big gap behind himself and his centre back partner. Circled is Mason Holgate. Communication here should have lead to Schneiderlin swapping positions with Holgate, to allow the centre back to tighten up the space in front of Williams. Schneiderlin in this shot is marking space, which is fine in this case, but the space behind him in the box is obviously more important than the area he is trying to protect. Morgan Schniederlin looked completely disinterested for the entirety ofthe game and with that he allowed the basics his teammates needed from him, too pass him by. Above you can see that instead of taking a simple touch and getting the ball under control and in solid possession (As is expected from a central midfielder), Schneiderlin has decided to let the ball roll between his legs giving an opportunity to the oncoming opponent. If Schneiderlin takes the touch to control it, he has a simple ball to Ashley Williams. Also noticeable is the amount of space that there is for our number 10 to drop into to receive a pass. Sigurdssonis in the side to be a link between the midfield and attack, as is visible above he isn’t even in the frame. Maybe the reason Schneiderlin was so heavily criticised after the match was his lack of desire to get on the ball or help his teammates. If i’m being honest he looked like he had given up before the game even started. Most of the things we’re highlighting here would have been completed by Tom Davies who can’t even get onto the bench, which is a crime in itself! Space and decision making is key to consider in the above picture. Both of Everton’s players (Kenny and Schneiderlin) have to take equal blame for losing the ball here. Firstly, there’s absolutely no excuse for Schneiderlin to be that far up the pitch when we’re being pressed in possession in our own half. He’s a central defensive midfielder, he needs to link the defence to our attacking midfielders. Secondly, JonJoe Kenny made the decision to pass it backwards once Schneiderlin hadn’t made himself available. Instead of passing backwards to 2 defenders also under pressure, Kenny needed to get the ball out of play. There was no viable pass or option available too him. But instead he forced a pass which didn’t made it’s intended target. Once again, lack of desire to get into a position to receive the ball has put the man on the ball under heavy pressure even in possession. Rooney HAS to make the effort to get into the space highlighted, if he doesn’t, which he never, Bolasie has nowhere to go and possession is lost.Rooney has made a career on being an attacking midfielder and being a link to the attack, which is why it baffles me that he couldn’t see that he was completely ineffective in the position highlighted above. Once more, the below photo highlights the sheer lack of the correct decision making that was evident in Saturday’s performance. Rooney has possession of the ball and an obvious man to pass the ball to and retain possession. Ashley Williams at the end of our squiggly arrow is calling for the ball, under no pressure. Instead of making the pass on his first touch, Rooney decided to allow the ball to come into him giving the West Brom man a chance of putting a foot in. Another example of spacial awareness. Rooney was playing in a more defensive midfield role on Saturday. A position on the pitch where it’s key and paramount that possession is retained and utilised properly. If you lose the ball in that position it’s highly likely that it will lead to an attack for the opposition. The above action shot is provides the perfect still image of something we’ve seen as fans all season. In this case both our Winger and full back have been covered completely by the opposition. The space on the edge of West Brom’s box here is far from acceptable with 3 central midfielders on the pitch. Often we’ve seen this exact shot happen with our sole striker. It proves how easy it is too isolate our attacks, the opposition simply double up on our winger and fullback pinning them too the touchline. When it’s our centre forward the oppositions have simply ensure both centre backs crowd our lone striker out and put s central midfielder in front of him for good measure. The lack of intent our players show to each other in an attack is hard to watch. It’s the least we want too see as fans, to get forward in numbers and provide options to the man in possession. This time it’s a lack of intent in a defensive situation. Holgate once again has no excuse in the below shot not to press the ball. Standing off is going to achieve nothing and just opens the door for the opposition man in possession of the ball to keep moving forward. JonJoe Kenny is the only defender in the shot not doing anything he shouldn’t be. Ashley Williams’ body position is all wrong, once more showing a lack of awareness to players around him. Cuca Martina is once again 10 yards out of position and by the time West Brom had took their shot he still wasn’t in position. Yes, you’re right we have two central defensive midfielders positioning themselves on our right wing. Just look at the space Rondon has to move into, completely unchallenged. Wayne Rooney and Morgan Schniederlin are stood on each others toes and doing exactly the same job as the other, in the same area of the pitch. Why is it not obvious too either of them that one needed to stay central and cut out any break out attack? If I can see it then surely two fellas paid to play the game can as well. A lot of what I have highlighted above isn’t down too the lack of confidence thats apparently lacking in our players. It’s purely a result of a negative attitude thats been breathed into the players by their manager. I completely accept that a couple of individuals had no intention to perform well in Saturday’s game, but you can see that the rest were scared to try and go forward. 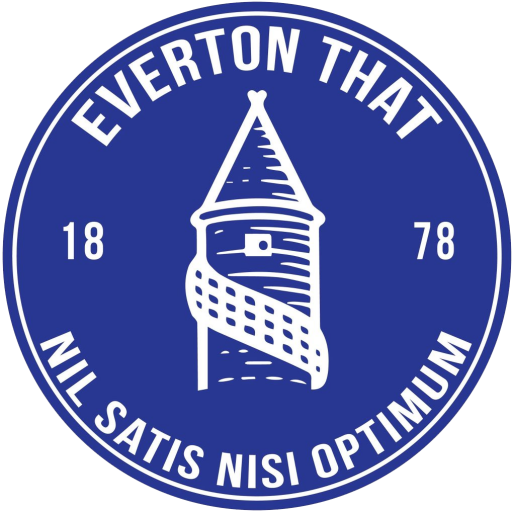 Allardyce spoke in his post match press conference after the Tottenham defeat about the Everton team being “Too attacking”. Although I’m sure that the players would of been told separately by Allardyce, what kind of message does that comment send to one of your players after a 4-0 thumping? Not only did we get beat 4-0 we didn’t have a single shot on target that was legal, too attacking or not attacking with enough intent? Theres a big difference and one that seems to have bypassed our manager.